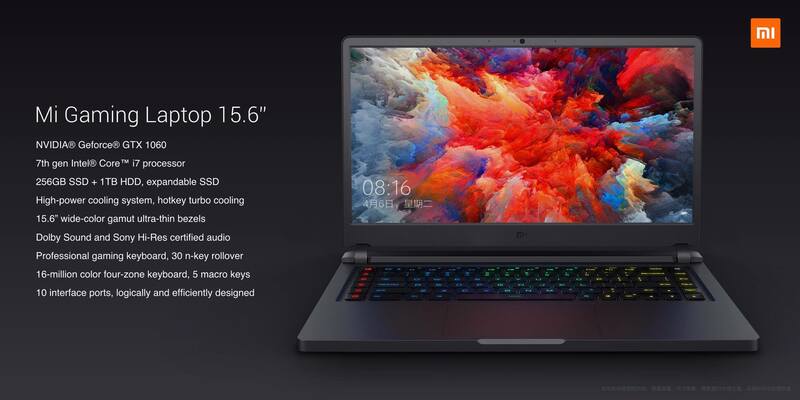 The Chinese manufacturer Xiaomi unveils the Mi Gaming Laptop, a 15-inch ultrabook cut for the game promises to the less enticing: athletic fact sheet, competitive price, optimized measurements. The goal ? Suggest a “gaming laptop that you can take to work”. 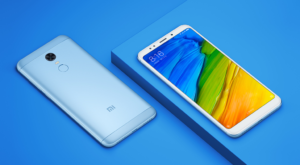 Very present on the smartphone market – evidenced by its latest highly anticipated release, the Xiaomi Mi Mix 2S – the Chinese company invests little by little the world of tablet and laptop. Without fanfare, the brand is gaining notoriety with thin notebooks with well-designed and particularly robust chassis and balanced configurations but above all, very competitive prices. With the Mi Gaming Laptop, Xiaomi is aimed directly at nomadic gaming enthusiasts in search of sobriety in design. This is exactly the turning point of Razer and his PC gamer Blade (Pro) or by Gigabyte with his Aero 15x . In appearance, the ultrabook opts for a minimalist look with a dark brushed aluminum angular case . 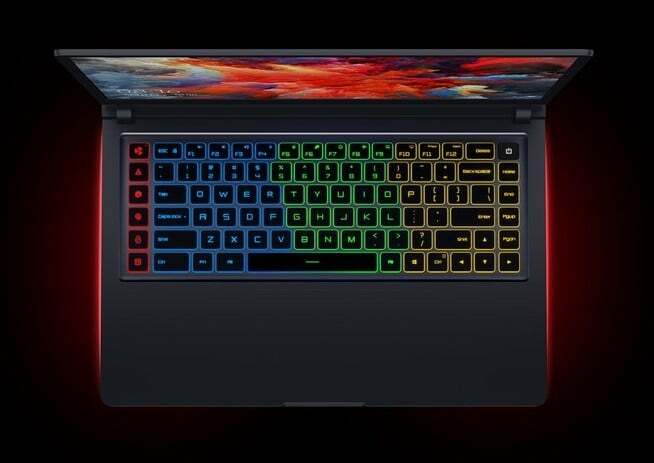 When the screen unfolds on the other hand, gamers will appreciate its chiclet keyboard backlight RGB on 4 areas (16 million colors). On the left, there are four programmable hot keys and a key to boost the ventilation system when the system is put to the test. The tone is set. Highlighted by a full HD IPS screen (1920 x 1080 px) 72% NTSC 300 nits anti-glare , the Mi Gaming Laptop is offered in two configurations. The first is powered by a Core i7-7700HQ, 16GB of memory, 256GB of SSD a 1TB hard drive and, for the graphics part, a GeForce GTX 1060 (6GB GDDR5) . The second most affordable configuration offers under the hood 8 GB of RAM, 128 GB of SSD coupled to a 1 TB hard drive and a GeForce GTX 1050 Ti . Given the apparent finesse of the case, it’s a safe bet that it will be graphics cards design Max-Q, less powerful than their “standard” pendants. Xiaomi mentions that the speakers (2 x 3W) are certified Dolby Atmos, which hide the noise of the cooling system touted as “very effective” by the CEO of Xiaomi, consisting of 5 heat pipes and two fans . Connectivity includes an SD card reader, six USB ports (4 x 3.0 and 2 x USB Type-C, but Thunderbolt 3 compatibility is not specified), HDMI video output, pre-amplified audio jack jack (compatible Sony Hi-Res) and a microphone input jack. The Xiaomi Mi Gaming Laptop is given for 36.4 inches wide, 26.5 inches deep and 20.9 mm thick . The set weighs 2.7 kilos. The battery capacity of 55 Whr will offer according to the words of the brand between 5 hours of streaming video player and 6:30 Web browsing . The exact date of its launch is still unknown. On the other hand, we already have a rather precise idea of ​​the price. The high-end configuration will be sold around 1160 euros and the basic version around 770 euros . Note that like most Xiaomi products, it will be necessary to go through the import to bring this new machine in Europe. This includes having to deal with a Windows 10 in Chinese (not always transferable in French) and with a QWERTY keyboard.